2. What makes an advertising campaign successful? a) Decide on a budget. No matter what the dollar amount, allocating a specific budget for advertising will allow you to plan an effective strategy for reaching your customers. TIP: When deciding on an appropriate amount, consider your product or service (will a new client represent $25 or $25,000?) and plan accordingly. b) Develop a plan. Do your homework and come up with a media strategy. Decide where to advertise (print publications, websites, email newsletters, social media), how often to reach out to your customers, and figure out how to make the best use of your budget. c) Consider the timing. Know your annual cycles. Is your product or service seasonal? Year-round? Choose the times you are most likely to get a response and plan your advertising promotions accordingly (holiday, summer, Commencement, tax season, etc.). TIP: Create a marketing calendar to keep track of when and where you want to advertise. Make sure you find out when ad material is due. d) Set realistic goals. Don't expect a phone call or increased traffic to your website after running one ad. Customers may need to see your ad multiple times before they take action. However, visibility and brand/company/property awareness are valuable in and of themselves. The more familiar your customers become with your brand, the more likely they are to trust you–and to think of you first–when they need your services. a) Know your audience. Who is your target market? Describe your ideal customers in detail. How old are they? Where do they live? What do they do for work? For recreation? TIP: Ask the media sources you're considering for their demographic information (information about their readers). Make sure it aligns with your target audience. b) Tailor your message to your audience. Once you have defined your target audience, craft a message that is relevant and meaningful to that group. TIP: Don't just list your company's features, tell your audience what sets you apart from your competition and how they will benefit from your product or service. Answer their questions, "Why do I care?" and "What's in it for me?" c) Use multiple platforms to distribute your message. Take advantage of print, web, email, and social media opportunities to interact with your customers. Be strategic–make sure your message is reaching your audience where they are. And be consistent with your message across all channels–this will help with recall and trust. d) Advertise more than once. Increased exposure produces higher results. Studies show1 that people must be exposed to advertising multiple times before they take action. "Even with beautiful design, superbly crafted copy, and a compelling call to action, a stand-alone ad is unlikely to get the same response as a repeated one. "2 Through repetition, you establish your credibility, establish brand familiarity, and become the first thought when a need for your type of product or service arises. If you are working with a limited budget, consider purchasing a smaller ad and running it multiple times. TIP: Ask your media source if they offer a frequency discount. a) Print magazines engage readers and provide an immersive experience. Print magazines promote a kind of deep reading that leads to thorough understanding of an often complex issue or long story.3 The tactile process of turning pages creates a physical experience that engages the reader and increases memory recall.4 Thus "magazine media are more trusted, inspiring, and influential than other media"5 and are an excellent place to promote your product or service. a) Harvard Magazine is an exceptional product. 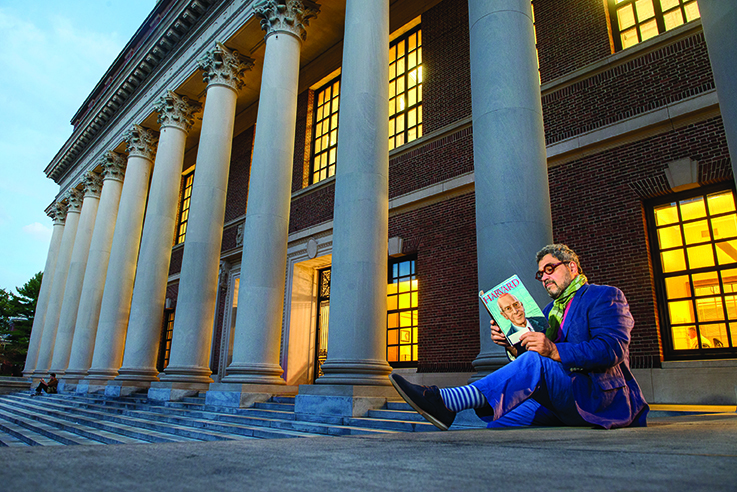 Your brand will be elevated by running alongside top-quality, award-winning editorial focused on the research and teaching being done by Harvard faculty, students, and alumni at the University and around the globe. 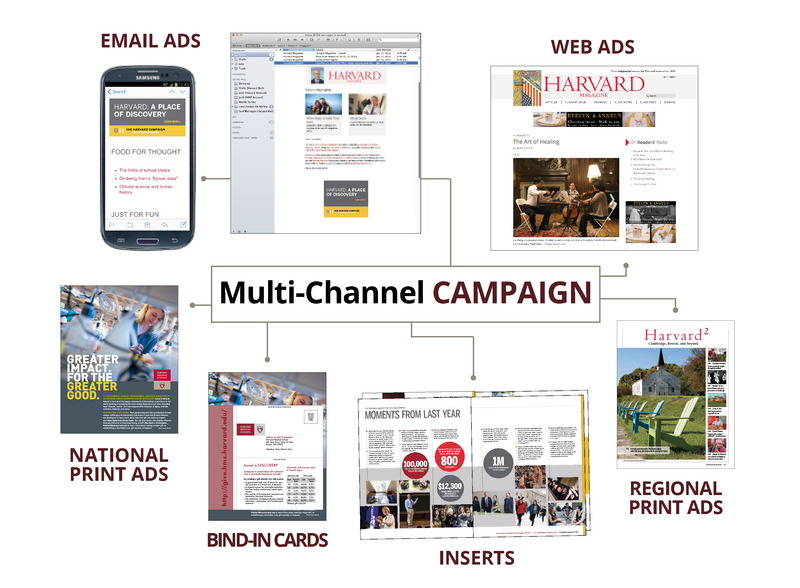 Your ad will stand out because Harvard Magazine adheres to a 25%/75% ad/edit ratio. And your message will be trusted because Harvard Magazine does not accept advertorial or paid editorial. d) Harvard Magazine wants you to succeed. 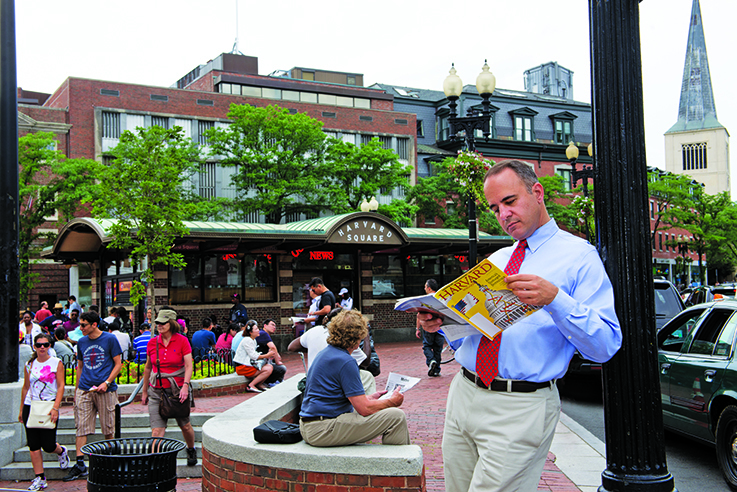 No matter the size of your budget, Harvard Magazine will work with you to develop an advertising strategy. We have a number of print and digital products available at different price points to help you reach our audience when and where it makes sense. TIP: "Just because something costs less doesn't mean it's saving you money. Don't assume the lowest price wins. Consider all aspects of what you are paying for when considering media options. "10 Be sure to ask a publication how many people they reach, where the people live, and what is the make-up of the audience. You may be able to find a lower price–but your ad may not be seen by as many people, especially in the group you are targeting.